After a few months, I was finally able to try Red Lantern's Dimsum Buffet. I initially gave the GC's to someone but since that person wasn't able to use it and seemed like wouldn't be able to use it, he returned it to me. Normally, I wouldn't have accepted but since my Mom was really wanting to eat here, I took back the GC's. 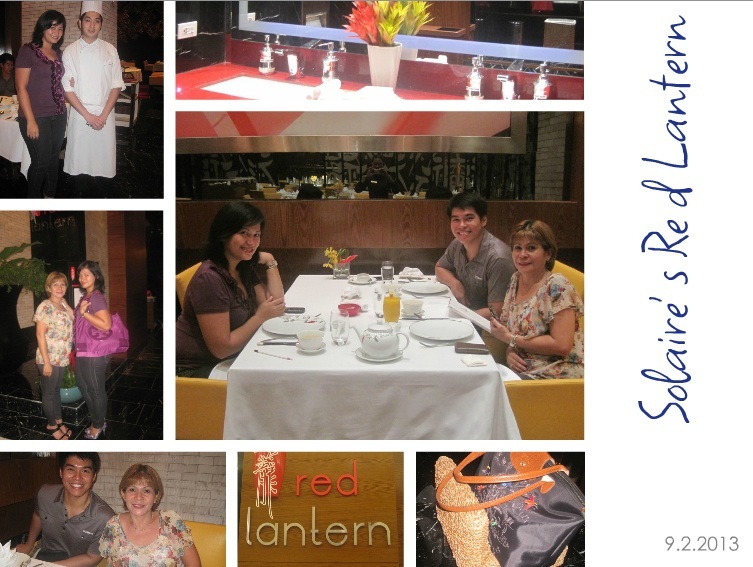 So today, my brother, Mom, and I trooped to Solaire Resort to partake of their Dimsum Buffet and may I just say that I was impressed with the decor and ambience of Red Lantern. I also loved that the buffet was a sit down kind of thing and we didn't need to fall in line just to get food. They just give a piece of paper and you tick off whatever you wish to your hearts desire. And the food was simply delicious. It was so filling and the taste was just wonderful. The best of the best would be the rice rolls, the deep fried prawns and cuttlefish with almond flakes and thyme, golden barbecued pork pastries with walnuts and the deep fried kataifi roll with avocado. If you go to Red Lantern and do not order these, you'd be crazy. We were there from 12noon to 3pm. We ate nonstop for 3 hours so we'd really have to say that the price of Php880++ per person was simply worth it. 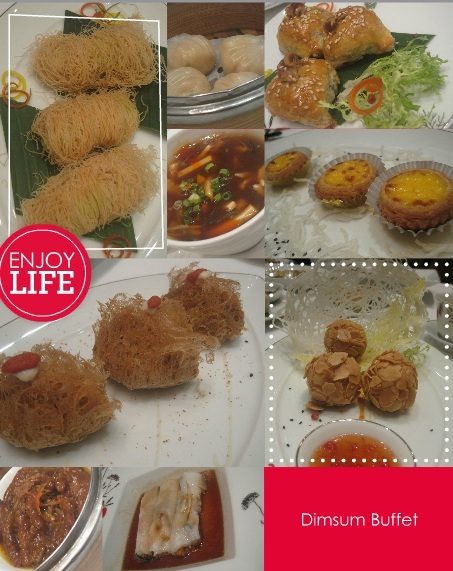 It's actually not pricey at all because of the variety of the dimsum available to you. 2 kinds of soup, 11 kinds of steamed dimsum, 3 types of rice rolls, 1 congee, 11 assortment of deep fried dimsum, 4 rice and noodles, and 4 sweets or dessert makes the price definitely worth your wallet. Kudos to Chef Wong Pak Khay. Job well done. BURP!